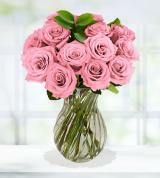 Roses are the epitome of beauty and therefore make an excellent gift for a loved one, friend, or acquaintance. 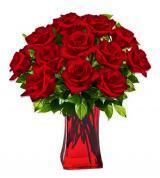 Avas Flowers, a nationwide florist, offers an extensive selection of premium rose arrangements, many available for same-day or next-day flower delivery. Roses are the ultimate choice for a wide range of occasions, including Valentine’s Day, birthdays, anniversaries, weddings, and elegant dinner gatherings. 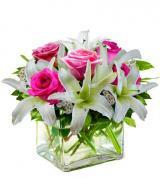 In fact, rose bouquets can make any occasion more special. At Avas Flowers, our rose bouquets consist of fresh-cut flowers purchased at wholesale prices, meaning that we can pass along lower prices for our customers. 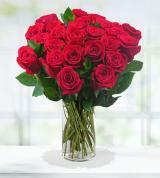 When you order and send roses online, you’ll have the opportunity to shop from a massive selection of lovely rose arraignments, including long-stemmed red roses and accent flowers, like burgundy carnations or baby’s breath, and arranged in a glass vase. 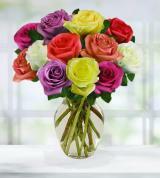 If you prefer to buy a bouquet of roses in a color other than classic red, we have a large number of options. Red roses are romantic and traditional, but we also carry vibrant rainbow-colored blooms that are sure to make an impression. Pink roses are a thoughtful gift for a friend, co-worker, or neighbor, and we can have them promptly delivered to your recipient’s door in a flower box when you contact us online or by phone. 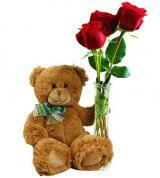 Rose delivery is usually made on the same day or the next day or can be scheduled for an upcoming occasion or event. 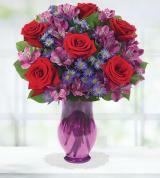 Roses delivered to a home or business can be an extra-special gift for that special person in your life. 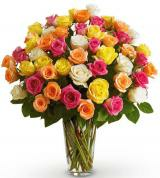 Find a bouquet of roses that expresses what you’re not able to say in words. White roses are a symbol of peace and purity, while our sunny yellow roses are associated with good cheer and a wish for well-being. 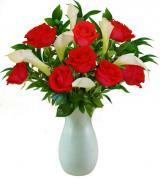 Roses can also be combined with other beautiful flowers, such as mini calla lilies or purple asters. 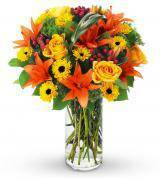 Each bouquet is lush, filled with a combination of flowers, fillers, and greenery. Some of our floral arrangements also come with extra gifts for your recipient, so your recipient can get a cute, fuzzy teddy bear and box of delicious chocolates in addition to your fresh-cut roses. 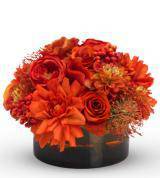 Our striking centerpiece flower arrangements also feature candles. To make your arrangement even more festive, choose from optional greeting cards, latex balloons, stuffed animals, Mylar balloons, or boxes of chocolates. 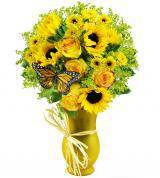 When sending fresh flowers from Avas Flowers, you’ll have the confidence of knowing that you’re sending high-quality, beautiful floral arrangements that are sure to make someone smile. 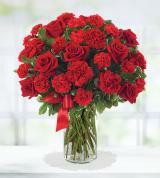 If you’re searching for that perfect gift or token of love and appreciation for that special person in your life, search our wide selection of exquisite roses and other flower options at Avas Flowers today.